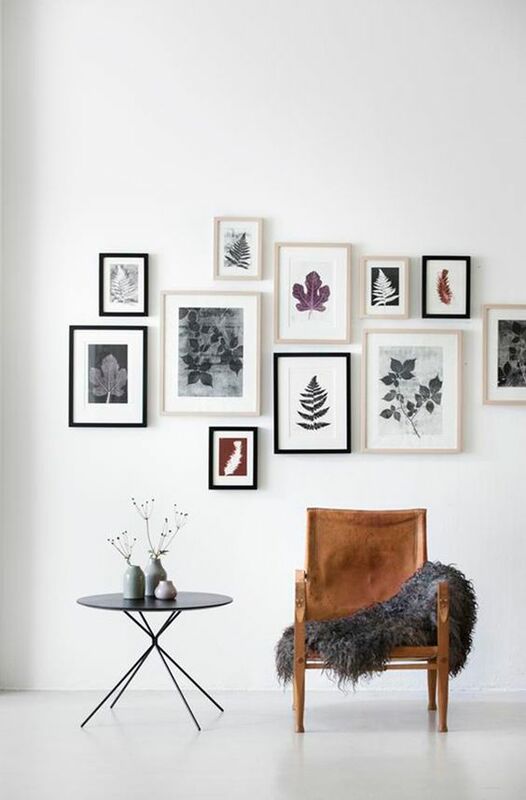 As with real estate, gallery walls thrive on “location, location, location.” Choose a wall in your home that is otherwise empty so that your design can really shine. 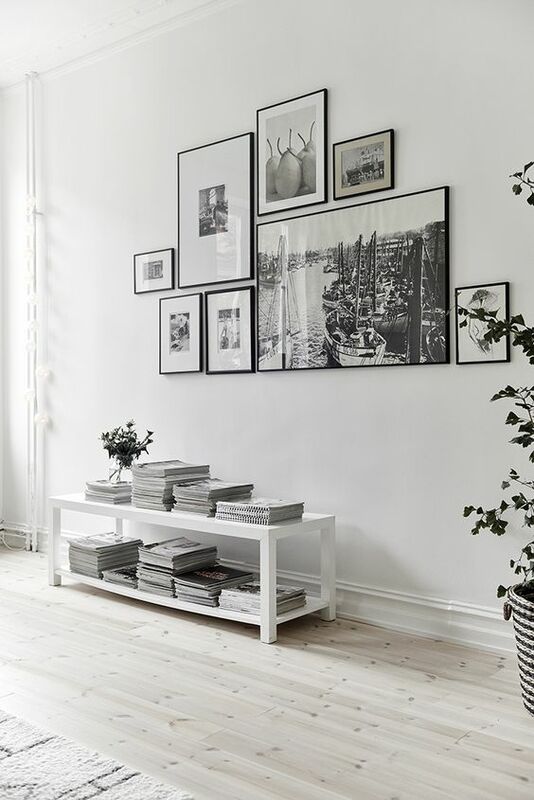 You don't want the gallery wall competing with other elements on the wall - it will likely just end up looking messy. Another key is making sure your design will be visible all at once. This means hallways are not as good as larger rooms. You want to be able to stand back and see the whole collection together. Start with one item that you love. You can go out looking for others that will compliment this piece to ensure that your design is centered on something you truly admire. Go with a theme. Family photos. Nature. A color scheme. An emotion. 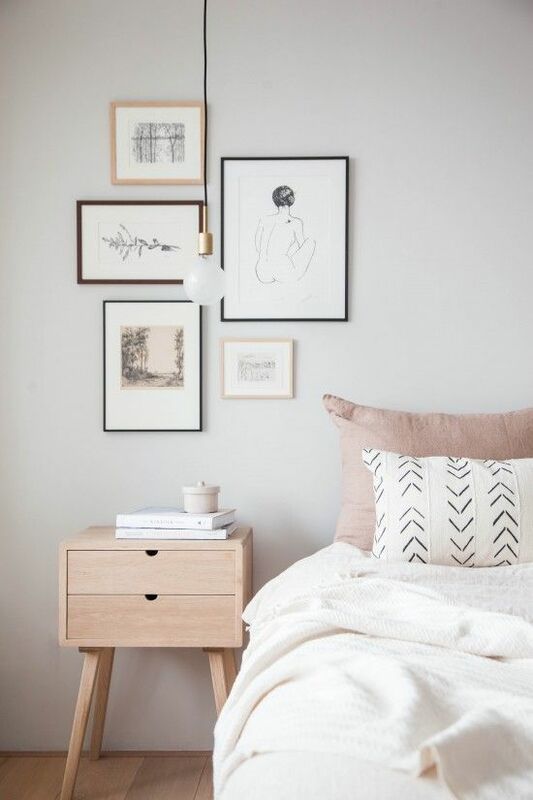 Individual components can match to give a streamlined, sophisticated look - or go for an eclectic vibe with lots of pops of color. 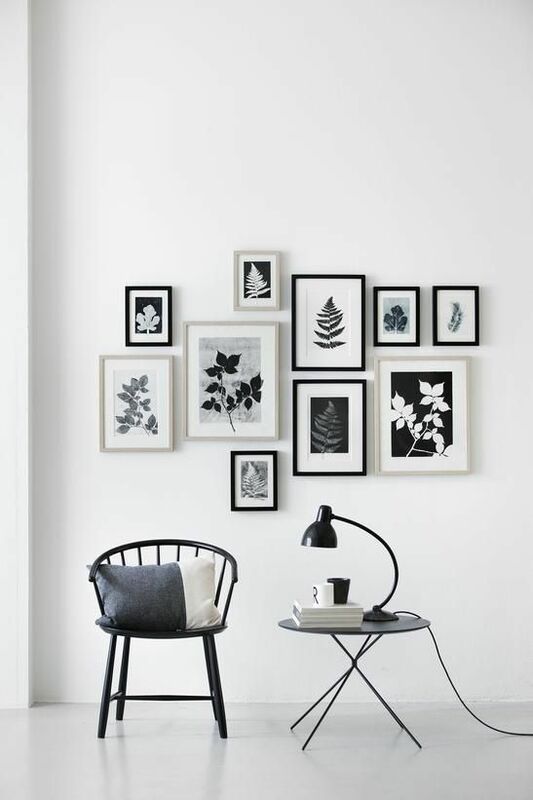 You can break up too much monotony with strategic framing choices, or cleverly curate frames to tie together an otherwise diverse collection. Same framing profile, different colors. Frames of the same color with a mix of different profiles. Once you've settled on your design, it's time to get hanging. 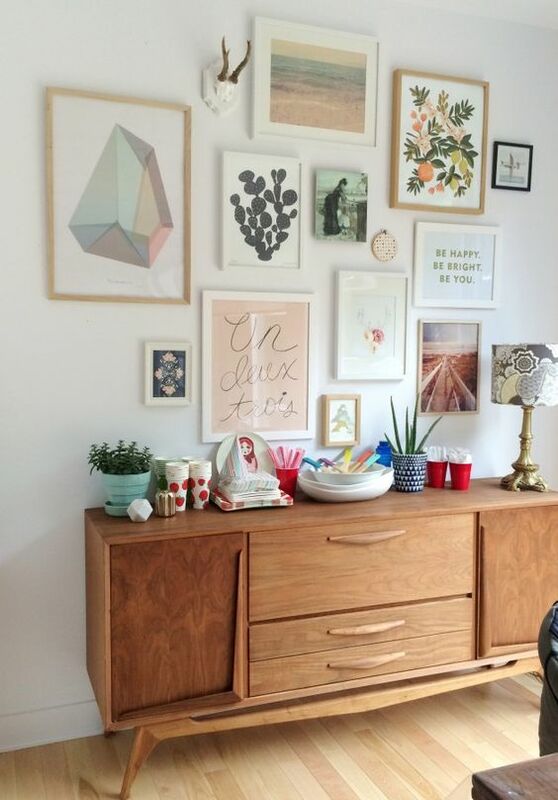 Make sure your picture hooks are strong enough for any big pieces you might have. Relax and Celebrate a Job Well Done. You've accomplished something creative and great. 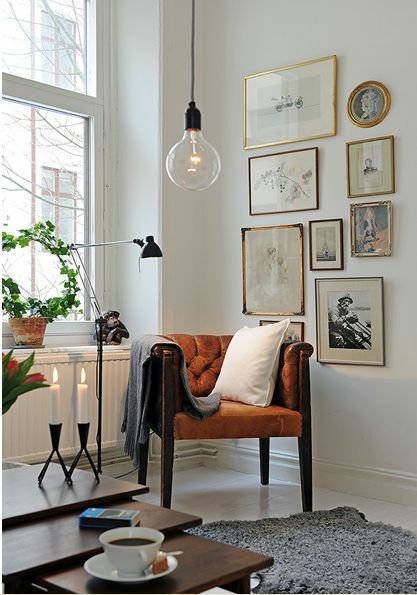 Enjoy the new feature in your home that is wonderfully and uniquely you. Take pictures and be sure to tell us about your experience! We'd love to hear how it turned out and help you get started on your next project.